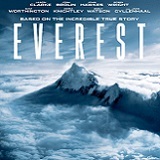 Unbridled ambition, a ferocious storm, and the limits of human endurance collide at the top of the world in the white-knuckle adventure Everest, coming to Digital HD on December 22, 2015, and 3D Blu-ray, Blu-ray, DVD and On Demand on January 19, 2016, from Universal Pictures Home Entertainment. 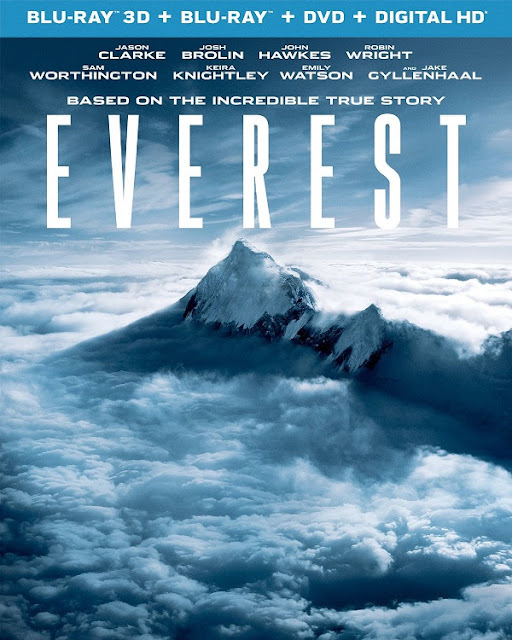 Following a pair of expeditions to the highest point – and most dangerous place – on Earth, Everest captures the brutal majesty of the deadly peak, and the boundless courage required to conquer it, with breathtaking cinematography and spectacular storytelling. Exclusive extras make Everest a can’t-miss, must-own event, bringing viewers behind-the-scenes for a look at the making of the film, as well as astonishing insights about the real-life 1996 summit attempt that inspired it. 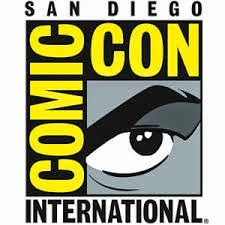 Jake Gyllenhaal (Southpaw, Brokeback Mountain), Keira Knightley (The Imitation Game, Pirates of the Caribbean), Jason Clarke (Zero Dark Thirty, The Great Gatsby), Josh Brolin (Sicario, No Country for Old Men), John Hawkes (Winter’s Bone, The Sessions), Robin Wright (“House of Cards,” Forrest Gump), Michael Kelly (“House of Cards,” Viral), Sam Worthington (Avatar, Clash of the Titans) and Emily Watson (The Theory of Everything, Breaking the Waves) star in a thrilling and harrowing battle against the overwhelming power of nature. • LEARNING TO CLIMB: THE ACTOR’S JOURNEY – Cast members and the two film consultants who helped them prepare for the shoot discuss getting ready for the arduous production. • A MOUNTAIN OF WORK: RECREATING EVEREST – Bringing Everest to life required the filmmakers to recreate the mountain through state-of-the-art studio work and visual effects. The teams involved talk about how they made the seemingly impossible possible. • RACE TO THE SUMMIT: THE MAKING OF EVEREST – The trials and tribulations of cast and crew as they journey to the foothills of Everest and beyond, battling the elements and forming deep bonds along the way. • ASPIRING TO AUTHENTICITY: THE REAL STORY – Recollections of the tragic events of May 10, 1996, from those who were there, as the cast and filmmakers discuss bringing this harrowing tale to life with authenticity and respect.